On Wednesday the Samuel Chorus will be performing in the Wighton Centre in Dundee Central Library, Wellgate, DD1 1DB, from 1.15 to 1.45 pm. Other events coming up at the Wighton Centre include Dundee traditional singer Maureen Jelks on Wednesday, June 06, 2007. Maureen is now back running the Wighton’s weekly Scots song workshop every Tuesday , 2-3.30pm. 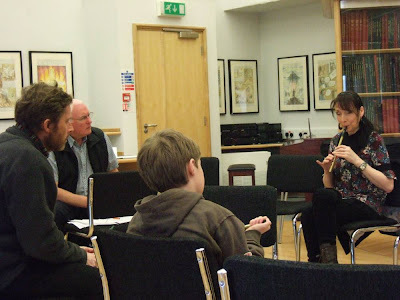 there are also classes in fiddle, harp and whistle every Saturday. On Wednesday 2nd May 2007 from 1.15 to 1.45 is the monthly Lunchtime Recital organised by the Friends of Wighton, and held in the Wighton Heritage Centre, Dundee Central Library, Wellgate Centre, Dundee, DD1 1DB. 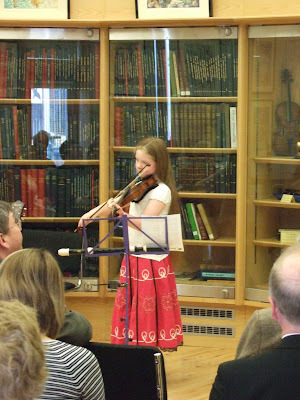 This recital will be by Elisabeth Flett, an up and coming young fiddle player from Fife. 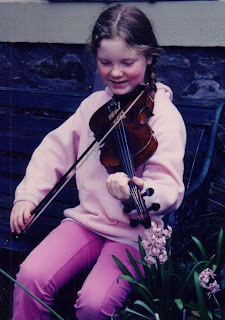 Born into a house full of musical instruments, Elisabeth Flett has been working her way round them since she started playing the fiddle at the age of 4. In September 2006 she started at RSAMD Junior Academy studying piano and viola, but fiddle looks certain to remain her first love! Elisabeth enjoys making music with other folk, and is a member of a diverse range of ensembles including Dundee Symphony Orchestra, Fife Youth Jazz Orchestra and Ferryport Fiddlers. Being home educated gives her plenty of time to practice, although Elisabeth would like to point out that she has a life apart from music, and enjoys dancing, reading and drawing in her spare time. 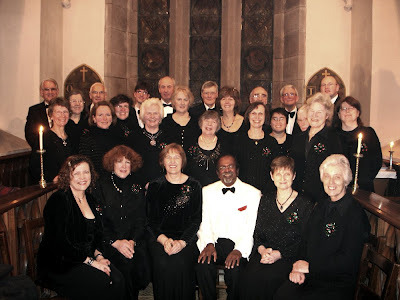 Other events in the Wighton Centre include a special Wednesday lunchtime recital by the Samuel Chorus on 23rd May at 1.15pm, and weekly classes in song, whistle, harp and fiddle. I’m sorry to have to announce a change in our plans. Due to other commitments we have had to postpone the AGM from April to May. The Friends of Wighton AGM will now be held at 3.30pm on Saturday 12th May 2007, in the Wighton Centre. Refreshments will be provided. All members are warmly invited to come along and help us keep the Friends going. Nominations are very welcome for people who would like to stand for committee posts – we are actively seeking new committee members. Please get in touch if you’d like more information. Our monthly Wednesday Lunchtime recital (first Wednesday of every month) on Wednesday 2nd May, 1.15-1.45 is Elisabeth Flett, a young fiddle player, and we have a special Wednesday lunchtime recital by the Samuel Chorus on 23rd May, 1.15pm. There was a free “Come and Try” day on Saturday 14th April; Helen, Simon and Karen welcomed interested visitors of all ages who were encouraged to sit down and have a go. Classes start on Saturday 21st April; the cost is £4 per session or £2.50 for concessions. Instruments are available – tin whistles are for sale, fiddles built by a Fife violin maker are available for loan, and replicas of medieval and baroque Irish and Scottish harps can be rented. Helen Forbes is from Dundee and has been described as “Scotland’s finest whistle player”. Fife fiddler Karen Hannah is one of the best exponents of the traditional East Coast fiddle tradition, and has performed at a number of events organised by the Friends of Wighton. She is a member of bands including Randan and has toured extensively in Europe and as far afield as New Zealand. 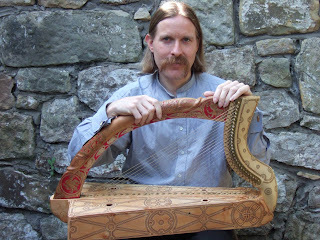 Simon Chadwick is one of the leading specialists in the historical harp traditions of Scotland and Ireland, running the annual summer school of early Irish harp in Kilkenny. He plays a “stunning” new decorated replica of the medieval Scottish “Queen Mary” harp. The Friends of Wighton are delighted that their successful and popular weekly song workshops have now been joined by instrument classes – and they hope that if these classes are successful, other instruments and tutors can be added to the selection. Simon Chadwick with his new replica of the medieval Queen Mary harp, which made its debut at a Friends of Wighton Outreach event in Falkland, Fife, on 12th April. 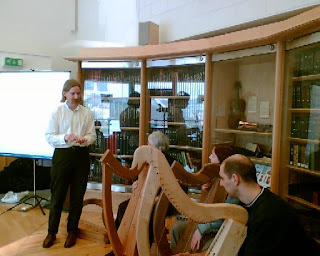 Simon Chadwick’s Wighton Harp Day – the final event in his six-month residency – was held on Saturday 24th March. The series of two recitals, two talks and a hands on session were extremely well recieved with over 40 people attending. The interest generated by the hands on session was such that early clàrsach has been added to the Friends of Wighton’s forthcoming weekly instrumental tuition. The photo shows eager students learning the first tune of the old harpers’ curriculum, with replicas of historical Irish and Scottish harps. Sat 21st April, 1pm – AGM, in the Wighton Centre. David Vernon at the Wighton Center on Saturday 17th March 2007, with one of his fiddles and an intruiging array of violin-making tools and equipment. This month’s talk is an unusual opportunity to find out about how fiddles are made, and to hear locally-made instruments being played. David Vernon is an experienced maker of violins as well as violas, cellos and classical guitars. He started working in Manchester but moved to Angus 18 years ago, leaving his violin business to spend more time making instruments. David will talk about the art of the violin maker, and will bring several partly-built instruments to show how they are constructed. Some of his fiddles will also be demonstrated by Gordon Penman. The Wighton Centre in Dundee Central Library holds the collection of old Scottish music books bequeathed to the City by Dundee merchant Andrew Wighton in the 19th century. The collection includes much fine old fiddle music from the 18th and 19th centuries.